Introducing the world's first Coconut Gummies. Our Gummies are specially formulated to harness the Nutrient rich goodness from Coconut. 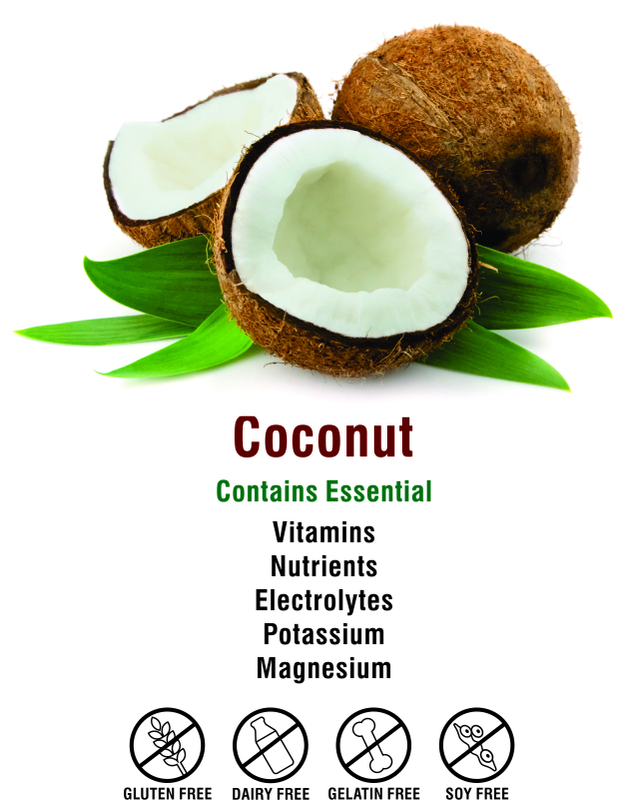 Coconut is rich in Essential Nutrients, Electrolytes, Vitamins, Potassium and Magnesium. Coconut has naturally gluten-free, versatile nutritional profile that is gaining attention among health conscious consumers*. We only use natural and organic ingredients such as Organic Tapioca Syrup, Organic Cane Sugar etc. in our gummy bears*. Our gummies are Gelatin free and100% vegetarian. Coconut is rich in a medium-chain fatty acid that can actually help boost metabolism and aid in fat loss*. It also helps detoxify your body and balances your digestive tract*. Coconut Gummies is brought to you by a trusted manufacturer and brand - Pharmvista Inc. We only use natural and organic ingredients such as Organic Tapioca Syrup, Organic Cane Sugar etc. in our gummy bears*. Our gummies are Gelatin free and100% vegetarian.